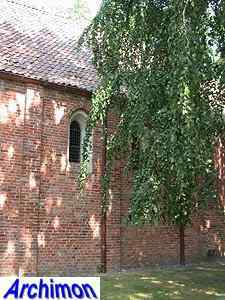 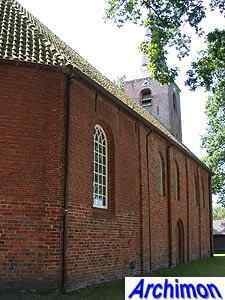 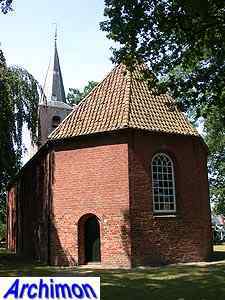 The reformed church of Peize was built in the second half of the13th century. 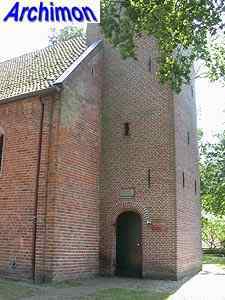 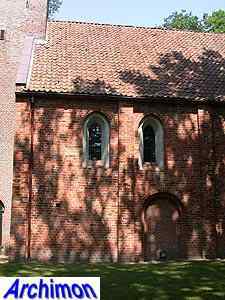 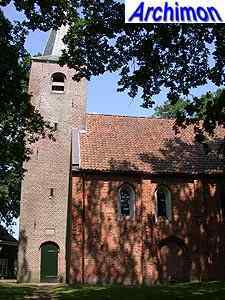 Of course, it was a catholic church then and was called the St. Johannes de Doper (St. John the Baptist). 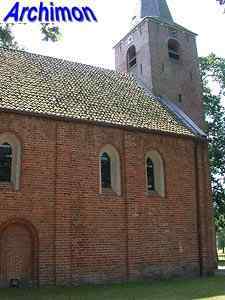 Of the original church only the Romanesque nave remains. 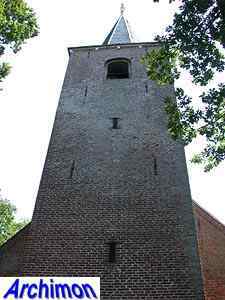 The original tower was demolished in 1624. 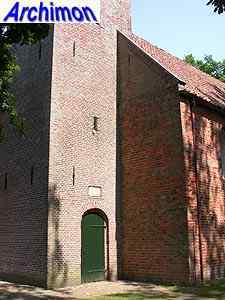 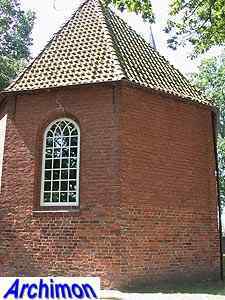 The current tower dates from 1803. 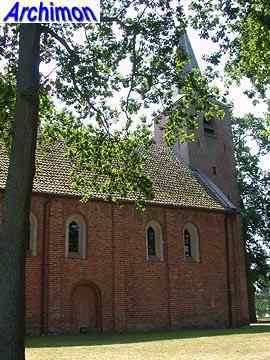 The original choir was replaced by the current eastern segment in 1824. 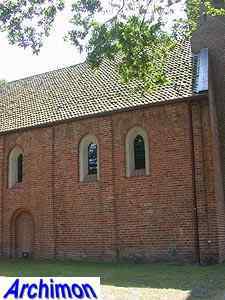 The old choir was in a bad state and the growing community could use a bit more space. 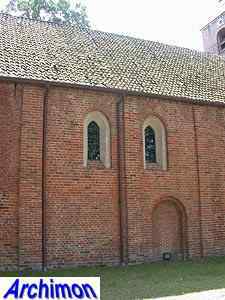 This new "choir" has large rounded windows. 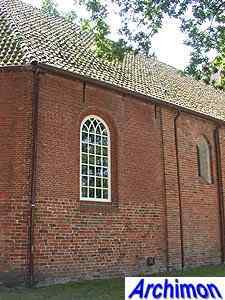 Similar windows were added to the nave. 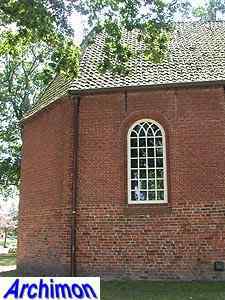 During a restoration in 1964-1968 these were closed and the original smaller pointed windows were reconstructed. 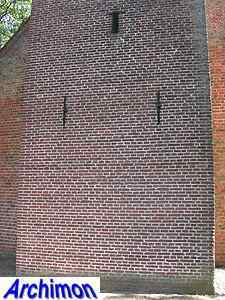 In the same period, the seperate entrances for men (second trave on the southside) and women (the third trave on the northside) were made visible again, albeit closed.